A properly maintained exhaust system does more than reduce engine noise, it also reduces emissions coming from your vehicle and increases your vehicle’s fuel efficiency. Your exhaust system includes components such as: the exhaust manifold, catalytic converter, exhaust pipe and muffler. 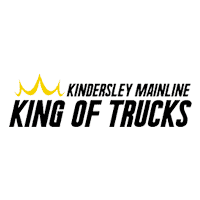 As part of Kindersley Mainline’s Exhaust System Maintenance Service, our Certified Service Experts inspect all components of your exhaust system and can perform needed repairs or replacement of any necessary components, including: the exhaust manifold, exhaust pipe, catalytic converter and muffler.